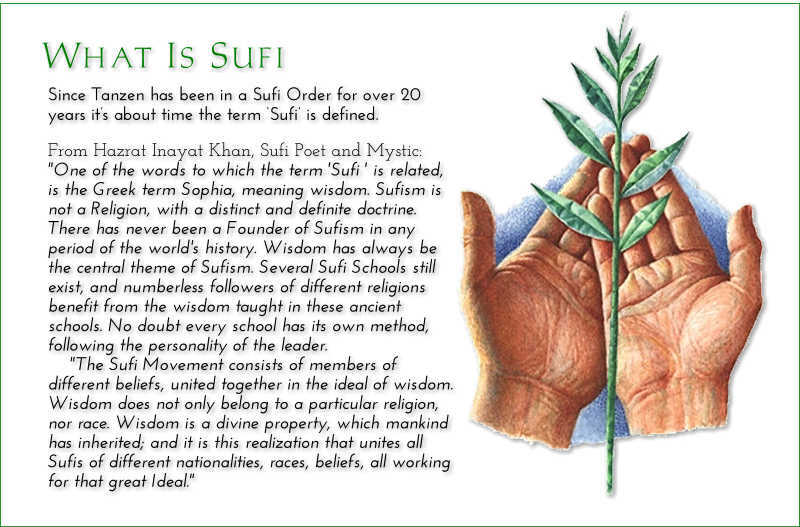 The word Sufi means Wisdom as well as Purity, according to ancient Greek and Arabic etymologies, and both concepts suggest one and the same ideal. Wisdom is only there when the mind is purified from preconceived ideas and an illusory interpretation of spiritual concepts. There are as many descriptions of wisdom and purity, as there are seekers on the path, but these descriptions could never be honestly identified as being the property of just one belief. As soon as one attempts to define abstract concepts, one gets lost in the labyrinth of one’s thoughts, and one builds up illusions, fashioned according to the limited horizon of one’s own mind-world, assuming thereby that one is in possession of the only Truth. Some declare having found Truth in Hinduism, others in Buddhism, Zoroastrianism, Judaism, Christianity, Islam, as well as many other religious denominations, known or unknown to the world at large; but when Truth is formulated at the level of human understanding, it is then diversified in various interpretations, just as pure water poured into colored glasses gives the impression of being shaded to the color of the glasses. Therefore, the aim of the call for “Unity of Spiritual Ideals” is an awakening to a broader outlook with deeper insight into the tragic misunderstandings, which divide earnest followers of various cultures. As to the origin of the Sufi outlook, one could say that it is just as ancient as are the concepts of wisdom and purity, which have always been the source of inspiration traced in devotional worships all down the ages; and even though it has often been periodically appropriated by cultural streams during different periods of history, it has never lost its own identity. Another subject found in Sufi traditions is the Alchemy of Happiness, mystically experienced in Love, Harmony and Beauty, as told in fairy tales related to the magic formula used in transforming base metal into gold. This historical legend symbolizes the melting of the ego along the course of a thorny path known as the Art of Personality, where false identification are overcome, when discovering the Divine Presence hidden within, as a pearl in one’s heart. This requires constant efforts in forging the character into a living example of wisdom, becoming thereby a bringer of happiness to brothers and sisters of all beliefs. Happiness is only there to the extent that one becomes oneself a true source of happiness, appreciating the good in others and overlooking that which disturbs when it is not agreeable to one’s own thinking, thereby attuning oneself to the rhythm of all those whom one meets, and in whose example there might be a lesson to learn. The Message of “Spiritual Liberty” in our time implies being liberated from such feelings as “my belief”, as opposed to “your belief`”. This Message is destined to be the religion of the heart; and since there are many hearts, there are just as many spiritual ideals springing forth from one and the same source. When the doors of the heart are open, humility awakens, finding oneself face to face with the Divine stream flowing onwards in line with the great Ideals of Wisdom and Purity, revealed thereby as the true essence of all that is understood by the term “Sufi”. Toward the One, the Perfection of Love, Harmony, and Beauty, the Only Being, United with all the Illuminated Souls, Who form the Embodiment of the Master, the Spirit of Guidance. 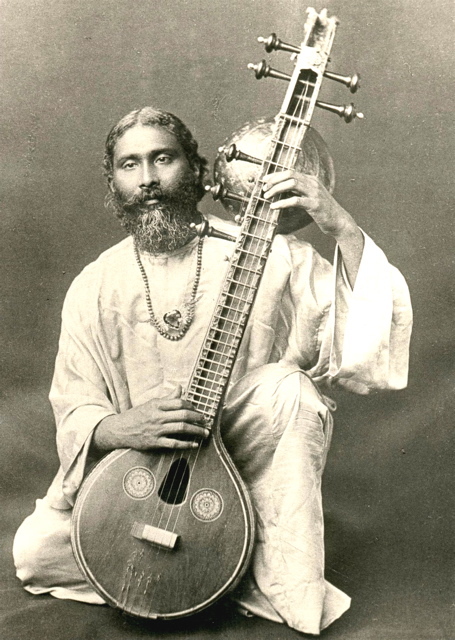 Each day we publish the appropriate saying from the Bowl of Saki, the daily wisdom of Hazrat Inayat Khan, plus the comments and explanations of Murshid Sam Lewis, the founder of SIRS. The Bowl of Saki is designed to deliver the Message and no discussion is done.